An expected interest rate rise means lenders are pulling their cheapest deals. We survey the best left on the market. It’s crunch time for anyone thinking about switching to a new mortgage, after a string of lenders hiked the cost of their fixed-rate home loans. During the past few days, lenders have been frantically pulling their lowest-priced deals or repricing them upwards as they prepare for an interest rate rise that could come as early as next month. NatWest has whacked up the cost of its five-year fixes by up to 0.9% (equivalent to almost four quarter-point base rate rises), while HSBC and Barclays have pushed up rates by up to 0.2%. Meanwhile, Yorkshire building society had indicated its trailblazing two-year fix at just 0.99% and its table-topping five-year fix at 1.55% would be around for a while – but on Thursday it announced they were being pulled. With time seemingly running out to lock into a bargain-basement deal, those thinking about remortgaging had better get a move on – and Sainsbury’s (see panel) is currently offering the best deals. The “buy now while stocks last” cliche really does apply here – although many people will argue that every warning in the past decade about an imminent rate rise has turned out to be false. The good news is that at the time of writing there were still a fair few competitively priced home loans on the market, with two-year fixes available at little more than 1%, and five-year fixes starting at around 1.59%. But don’t bank on them being around for long. 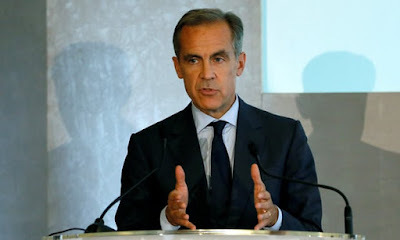 Hints from the Bank of England that the first increase in the cost of borrowing for a decade could be weeks away have started to push up funding costs for lenders. On Monday, the financial data provider Moneyfacts revealed that 21 lenders had upped at least some of their rates since 12 September. That list will be a fair bit longer by now. The rises have typically been in the order of 0.2%-0.25%, but the rate increases announced by NatWest range from 0.02%-0.9%, with five-year deals aimed at remortgagers seemingly taking the brunt of the changes. The rate on one NatWest five-year deal rose from 2.38% to 3.28%, another from 2.1% to 2.88%. Meanwhile, Barclays has increased the cost of its new two-year fixes by up to 0.2%. That means its cheapest two-year fix now has a rate of 1.29% when just a few days ago it was 1.09%. HSBC upped its 1.14% two-year fix to 1.34% on Friday, while its 1.59% five-year fix has risen to 1.79%. On Thursday night, Yorkshire withdrew two of the most eye-catching fixes on the market: a two-year deal priced at 0.99% and a five-year deal at a super-low 1.55%. It is likely to announce new deals next week, but you can bet they won’t be as good. Mark Harris of SPF Private Clients, said on Tuesday: “HSBC hopes to hold rates for another week at least, and Santander for another two …” but both had indicated that, should service levels begin to suffer “they may be forced to move sooner rather than later”. As it turns out, HSBC clearly decided it couldn’t hold out for another week. We don’t have long to wait to find out whether the Bank of England will raise the base rate – the next monetary policy committee meeting is on 2 November. Brian Murphy at broker firm Mortgage Advice Bureau says borrowers who have not taken action “still have time – just – to apply for and fix their mortgage before the interest rate decision is announced”. His view is that rates have been on the floor for a long time and are not going to get any lower. “There is still time to get the application in before 2 November,” he said. The availability of record low fixed-rate deals has helped drive the numbers of people remortgaging to an eight-year high, as homeowners seek to protect themselves from a base rate rise. 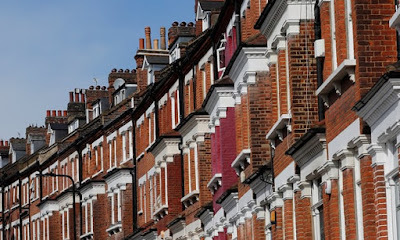 Conveyancing firm LMS this week said that in recent weeks “record numbers” of remortgagers had been opting for five-year fixes. According to Charlotte Nelson at Moneyfacts, lenders are increasingly feeling the effects of higher swap rates. These are the rates banks pay to borrow from each other, which play a large part in determining the pricing of fixed-rate mortgages. She added that it is vital borrowers act fast to ensure they get the best possible deal before rates increase. • 1.09% from Sainsbury’s Bank. Maximum LTV 60%. Comes with a free valuation plus help with legal fees. £745 product fee. • 1.09% from Hanley Economic building society. Max LTV 60%. Comes with a free valuation plus free legal work when remortgaging using the society’s nominated solicitor. £475 product fee and £250 application fee. • 1.12% from Hanley Economic. Max LTV 75%. Comes with a free valuation and free legal work as above. £495 product fee and £250 application fee. • 1.59% from Sainsbury’s Bank. Max LTV 60%. Comes with a free valuation plus help with legal fees. £745 product fee. • 1.69% from Sainsbury’s Bank. Maximum LTV 75%. Comes with a free valuation, plus help with legal fees. £745 product fee. • 1.7% from Monmouthshire building society. Maximum LTV 65%. Provides help with legal fees. £999 product fee.